Being based in New York has wonderful advantages. I'm close to amazing locations in New Jersey and Long Island. I'm also an easy drive from the Hamptons (I do have a car, and love to drive). I am often commissioned to photograph weddings in the Hamptons, which is one of my favorite summer wedding destinations! 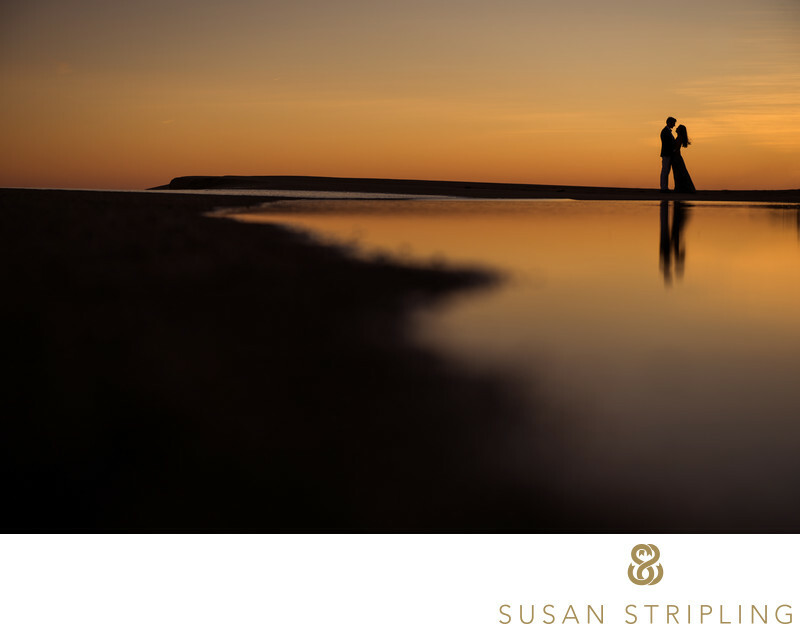 I love photographing weddings in Sagaponack, with it’s gorgeous scenic beaches and sweetly intimate charm. I adore Greenport weddings, with its wonderful local charm. Amagansett, in East Hampton, is gloriously quiet and has sweetly expansive beaches, just perfect for seaside wedding ceremonies. My first Hamptons wedding was in Bridgehampton, and I always love going back there. Westhampton Beach is gorgeous for beach portraits, I always feel like the sand really opens right up to the sky here! Sag Harbor is another favorite Hamptons wedding destination, with it’s village charm and quirky wedding locations. It's warmly welcoming here, and a great place to hold a beach wedding. Easthampton and Southampton round out my favorite Hamptons wedding locations, each boasting gorgeous wedding venues and flawlesss beaches. My true Hamptons love, however, is Montauk. Having grown up in Savannah and spending lots of time near Jekyll Island, Montauk reminds me of those rustic beach scenes in a wonderfully nostalgic way. I love sitting on Ditch Plains Beach, watching the waves roll in. I love the long drive into Montauk, with the sea air pouring in through my open windows. If you’re engaged and looking for somewhere to get married in Montauk, you have many brilliant choices to pick from. You can consider the Montauk Lake Club and Marina, a classic Montauk wedding venue where you can have your ceremony and reception right at the club, with portraits on their stately grounds. Another popular Montauk wedding venue is 360 East at Montauk Downs. This wonderful wedding venue allows you to get married at the base of a lighthouse, which makes for brilliant wedding day photos. You can get married on-site here or off-site, which is something very unique to 360 East. 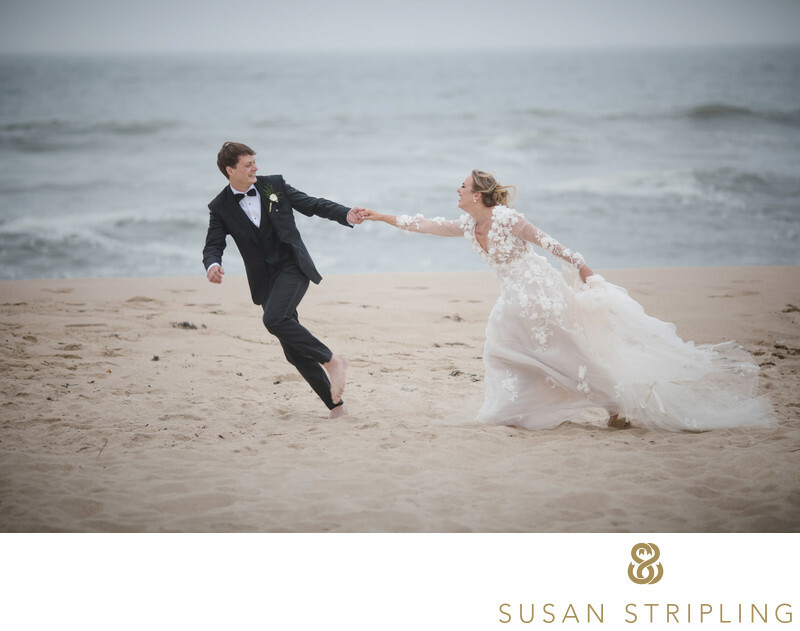 I love the fact that you can get golf course wedding pictures and beach wedding pictures at the same venue when you choose 360 East at Montauk Downs! Yet another brilliant Montauk wedding choice is the Montauk Yacht Club Resort and Marina. The Montauk Yacht Club Resort and Marina is on a private beach, which is an awesome perk. It’s a huge venue, with many on-site venues to choose from. You can tent the Great Lawn and get married overlooking the marina with up to a thousand of your closest friends and family members! You can have a rustic event inside the Farmhouse Ballroom, with it’s huge fireplace and rustic wooden beams. It’s a charming smaller venue on-site at the Montauk Yacht Club Resort and Marina, and is great for weddings of under two hundred guests. You can get married in a garden in the Villa Courtyard. You can have a fun party reception inside the Barracuda Bar Patio. You can even get married right outside on the Island Beach, which is a gloriously private on-site beach at the Montauk Yacht Club Resort and Marina. If you’re looking to get married on the beach and hoping for a typically awesome Hamptons sunset in your wedding day photographs, consider Navy Beach for your Montauk wedding location. This two hundred foot beach is completely private, meaning there will be no strangers sunbathing in the back of your wedding pictures! I love the restaurant at Navy Beach, which is right on the water and offers you wonderful views while eating your dinner! It’s a seasonal venue, so if you’re getting married between April and October, I highly suggest that you check out Navy Beach in Montauk. Sole East Resort is a great Montauk wedding venue also worth visiting! Sole East Resort is situated nearby Lake Montauk and a also is near the Montauk Point State Park. It’s a great venue to consider if you’re having a destination wedding in Montauk! There are guest rooms on site, which is a huge bonus! This iconic Montauk landmark is just a quick walk from the nearest beach, where you can say your vows and take your wedding photographs. There are glorious gardens on site at Sole East Resort, and they make for a great photographic backdrop. Its’ also a great space to put up a tent for your wedding reception! Swallow East is a great Montauk wedding venue for wedding couples looking for a great, rustic feel to their wedding day. It’s waterfront location is ideal, and the food is terrific! In my opinion, the crown jewel of Montauk wedding venues is Gurney’s. This spectacular oceanfront wedding venue truly has to be seen to be believed. It’s THAT gorgeous! 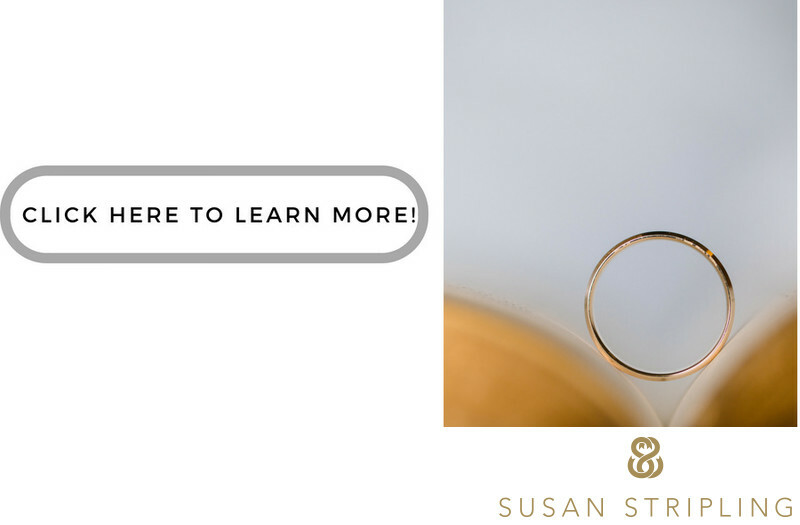 You can have your wedding ceremony here, as well as your rehearsal dinner, wedding reception, day-after brunch, engagement party, and bridal shower! Since it’s a hotel, you and your guests can also stay here in glorious luxury. Gurney’s is a great wedding venue because you have many options when it comes to structuring your Montauk wedding day. You can wake up and get ready in Gurney’s brilliantly appointed bridal suite. You can say "I do" on the private beach, on the outdoor deck, or under their crisp white tent. You can have your reception and dining indoors or under the tent. It’s truly incredible to have so many excellent choices for locations on your wedding day. That doesn’t even include the dozens of brilliant locations for your wedding day pictures. Brides and grooms can walk the white sand beaches and have their wedding pictures taken under the bright blue skies, and later under the famous Montauk sunsets. You can take pictures with your bridal party and family pictures with the Atlantic Ocean crashing in the background. Truly, is there anything better? Being described by wedding venue search sites as a "Banquet Hall", "Hotel", and "Resort" doesn’t do this magnificent wedding venue justice. The amenities alone set Gurney’s Montauk above other wedding venues nearby. Food and beverage are completely taken care of by the venue itself. You can play your wedding day music inside and outside. You can party late into the night, with a 2am end time for wedding receptions. The venue will help with coordination if needed. There are dressing areas specifically set aside for brides and grooms. Should you decide to marry on the beach, Gurney’s includes an arch for the ceremony site. There are dance floors, podiums, and stages available. The venue will take care of any coat check needs. There is outdoor lighting in all outdoor wedding spaces. There is on-site security. The venue will set up for your event, as well as clean up when it’s over. The list goes on and on. What impressed me the most about Gurney’s in Montauk was the rustic elegance and unparalleled comfort. Montauk is known for it’s wild beauty, and that same beauty is carried out seamlessly with Gurney’s design and decor. It’s comfortable and elegant at the same time. From the second you drive up Old Montauk Highway and see it in the distance, Gurney’s welcomes you with open arms. We lounged in the lobby, ate comfort food at Tillie’s, and grabbed a latte at Corso Coffee. I photographed a gorgeous rehearsal dinner outdoors at The Beach Club, and took this wonderful wedding image while the sun was setting over the two thousand foot beach, which is completely private and exclusive to guests at Gurney’s. The next day, I photographed the bride getting ready in her private suite. They signed their marriage license on the wooden deck with the surf crashing in the background. We took wedding pictures, bridal party pictures, and family pictures overlooking the beautiful Atlantic Ocean. They were married on deck, and partied the night away in the tent. Gurney’s Montauk is a special place to visit, and a special place to get married. I hope your search for a Montauk wedding venue leads you to the gorgeousness of Gurney’s, and I hope you commission me to document your wedding for you! Our travel fees to Montauk are very reasonable, and I’d be glad to open my windows up, let the ocean air in, and travel to the Hamptons for your wedding weekend! Keywords: bride and groom together (756), destination (72), gurney's (9), montauk (12), new york (1395), prep for portfolio (249), silhouette (63). 1/250; f/4.0; ISO 100; 70.0 mm.